International Medical Corps is currently in Guinea, Guinea-Bissau, Liberia, Mali and Sierra Leone, and is one of a handful of international NGOs that is treating Ebola patients in West Africa. 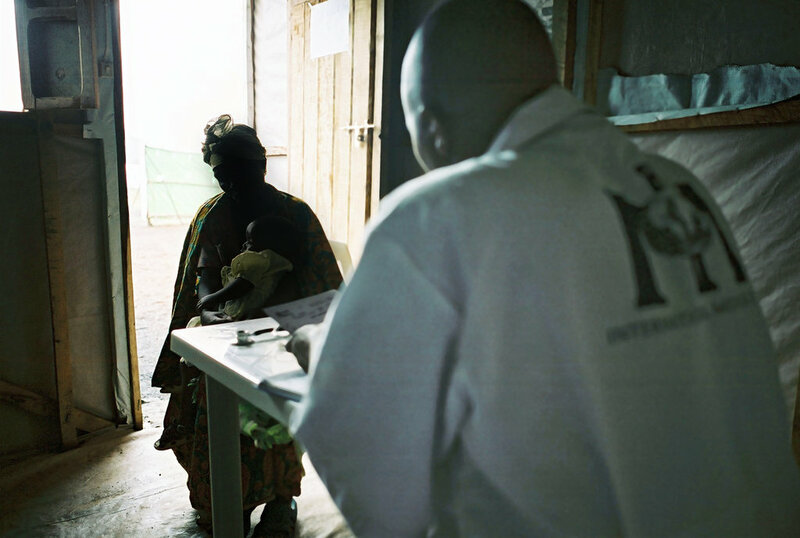 The WHO has reported over 27,500 cases and 11,200 deaths across West Africa. We are committed to getting to zero cases, and to rebuilding and strengthening the local and regional health systems; engaging community members in recovery through outreach and education programs; and bolstering preparedness. Ebola is a viral illness characterized by the sudden onset of fever, intense weakness, muscle pain, headache and sore throat, followed by vomiting, diarrhea, rash, impaired kidney and liver function, and in some cases, internal and external bleeding. The current outbreak has a death rate of 70%. A lack of treatment units, trained healthcare workers and information is leading to an increased risk of infection, as communities struggle to care for those infected and prevent further transmission. International Medical Corps manages five Ebola treatment centers, two in Liberia and three in Sierra Leone - which can provide not only isolation and care for Ebola patients, but also psychosocial support. In addition, teams are training frontline healthcare workers to provide a trained workforce that can meet the demands of the 24/7 shifts required to provide treatment -- and training partner organizations that will go on to establish additional treatment units - vastly multiplying the impact. Treatment of those infected as well as the training of local healthcare workers will have an enormous impact on the region. Liberia had just 200 doctors to serve 4 million people before this crisis; that number is now estimated to be 50. A trained healthcare workforce with the skills needed to prevent and treat Ebola will build the capacity of the health care system now, and in the face of future crises.